Pay no attention to the bird poop! 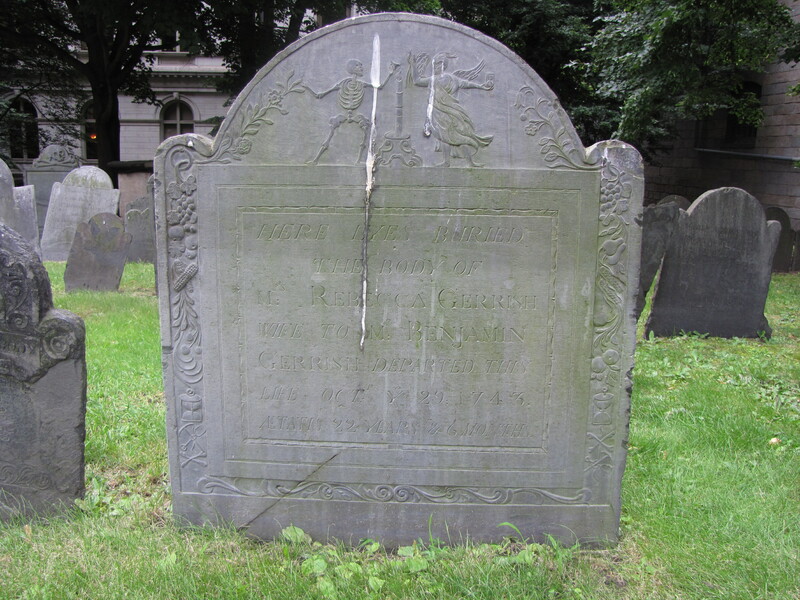 This strafed gravestone is the obvious target of a large Kamikaze bird with some gastrointestinal problems. Unfortunately for me, and you the viewer, I was not equiped on my visit to the King’s Chapel Cemetery in Boston to wipe it clean before I snapped this. But, the imagery on the 22-year old Rebecca Gerrish’s gravestone is spectacular. 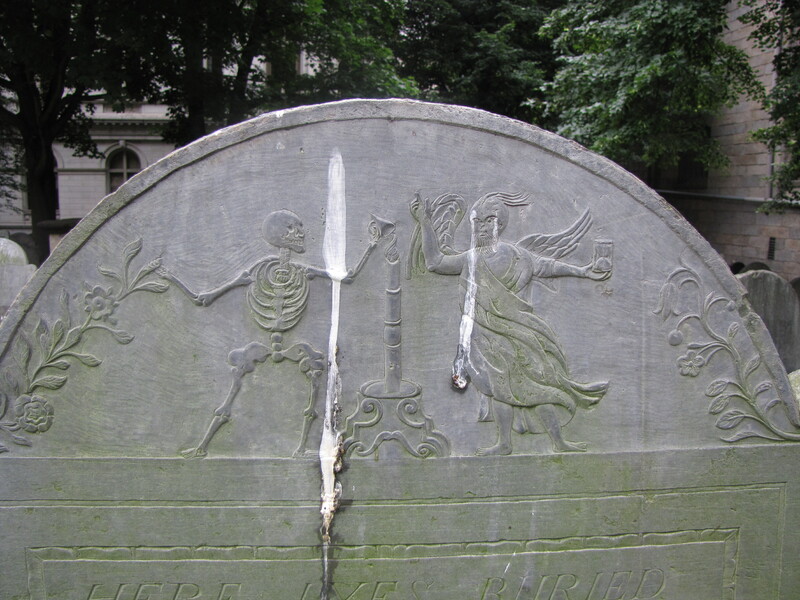 Here a candle is being snuffed out by a skeleton holding the snuffer and a winged Father Time holding an hourglass trying to stop the inevitable. The symbolism is hard to miss. The flame on the candle being put out represents a young life that is over. Father Time reminds us that life is short and the visage of the skeleton calls to the viewer to remember that death is always near. 1 Response to Pay no attention to the bird poop! Sweet post! I’ll be checking back for other great reads!